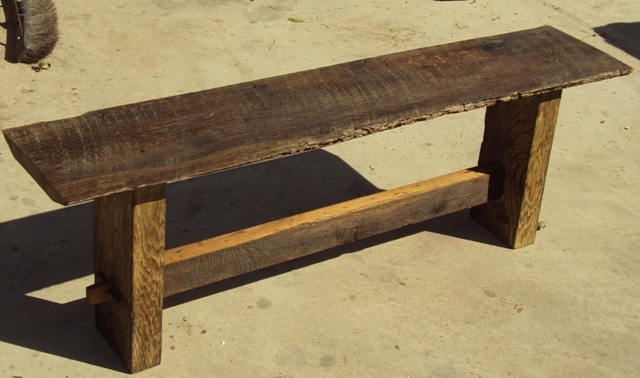 Arts & Crafts inspired bench constructed from 150 year old Oak barn wood. 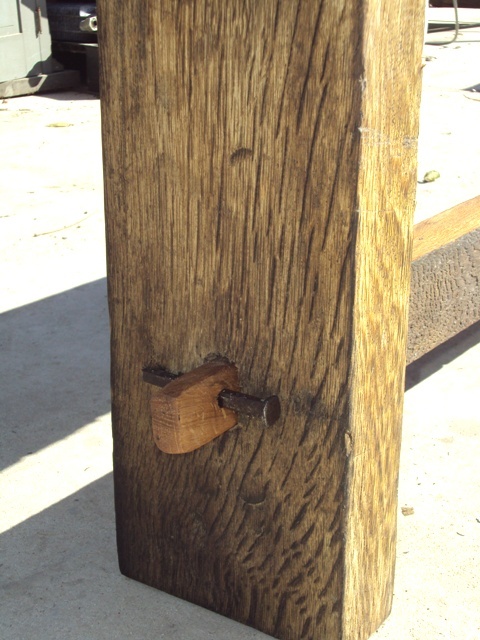 Mortise and thru-tenon construction pegged with old iron cut nails. Lightly sanded and topped off with a boiled linseed oil finish. Made to order.